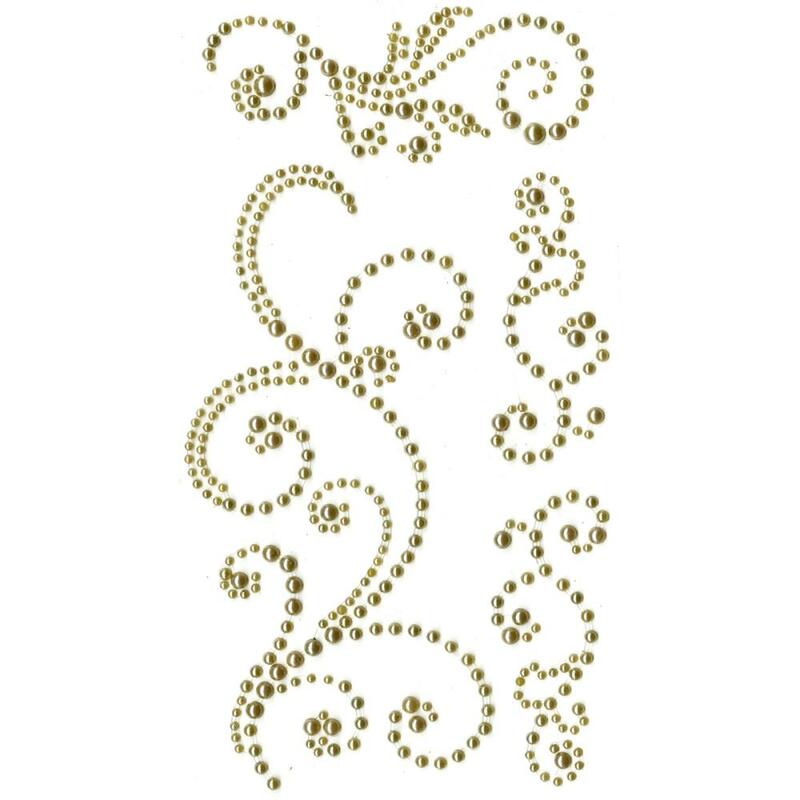 Flat back, self adhesive pearl swirls in subtle gold. The pack contains four different swirl designs in different sizes which can be used as they are or cut into smaller pieces. 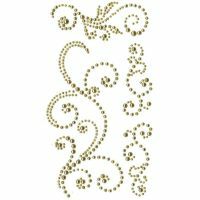 Use them to decorate hand made cards, scrapbook layouts, gifts tags, candles etc. to add shimmer and dimension. Also available in white, black, natural and silver.